D.K.R. 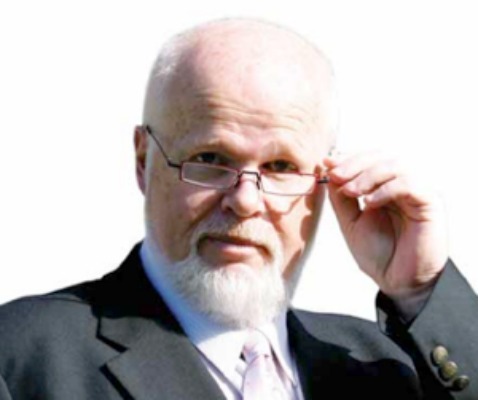 Boyd is an award-winning Canadian author and former English and Media educator at Appleby College in Oakville, Ontario, where he was awarded the Prime Minister of Canada’s Excellence in Teaching Award for his work in the development of e-courses for creative writing. Boyd has published over 20 books for children and young adults with Rubicon Publishing and Scholastic Canada. He writes for adults under the pseudonyms D.K.R. Boyd and David Collins. The second book in his critically acclaimed trilogy for young adults, Bottom Drawer, was nominated for the Governor-General of Canada’s Award for Children’s Text. Raised and educated in St. Stephen, New Brunswick, Boyd returned to St. Stephen after retiring from Appleby College in 2007 to write his major historical fiction series, The Reflecting Man. In 1922, in a small town in the Maritimes, an unusual boy with an unusual name is adopted by a Baptist family of chocolate makers. With his copy of Plain Facts for Young and Old by the cereal king, Dr. Kellogg, to guide him, young Kurtis De’ath, a natural polyglot, comes to terms with a world he has only experienced through reading. At work in the family business, he becomes highly skilled at crafting Bird Bonz, and befriends Cinnamon Jim, a family relation of low I.Q. and phenomenal sales ability, who teaches Kurtis how to look-see, the art of deciphering people’s predilections and, ominously, how to fulfill them. At the beginning of the Great Depression, in Montréal he opens a tutoring business in a boarding house managed by Madame Laframboise, whose nephew is emerging Quebecois Jesuit poet, Francois Hertel. Kurtis is enticed by Lord Beaverbrook to join the Toronto Star and, later, to travel to Germany for the Toronto Globe with colleague, Erland Echland. They interview the rising man of Europe, Mr. Adolf Hitler, who is intrigued by ‘Herr Death.’ A free ticket to Wagner’s Siegfried at the Bayreuth Festival leads to a job as private secretary to Winifred Wagner and the Shokoladenmann, maker of fine chocolates for the four Wagner children. A master of detail, Kurtis probes the people and perversions at the very heart of National Socialism, not the least of whom, Adolf Hitler, has plans for his mysterious new confidant, Herr Death. Set in multiple locales in Canada, America, France, Germany, and England, before and during the Second World War, The Reflecting Man is the antic, ribald journey of a loquacious and unreliable narrator, Kurtis De’ath, from the Maritimes in Canada, whose unusual talents lead him into the innermost circles of Hitler’s Third Reich and Churchill’s British government. Kurtis’ journey through the roots and branches of actual historical figures and events is, at its heart, in meticulous detail, an examination of how Europe went to war in 1939. 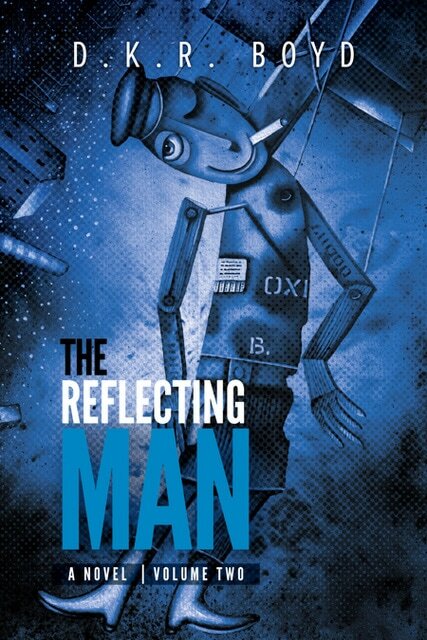 The Reflecting Man is himself a reflection of his times. The novel is widely and deeply researched, employing hundreds of non-fiction accounts, journals, and diaries of actual participants and observers of the darkening clouds over Europe and the descent into war. In January of 1936, our loquacious and unreliable narrator, Kurtis De’ath arrives in London on the orders of Adolf Hitler. Kurtis is loaded with secrets, confections, and more than a few mysteries. Closeting his other identities (Herr Death, mysterious confidant of Adolf Hitler, and the Wagner Family’s Shokoladenmann, dispenser of the delightful Bird Bonz), he becomes fellow Maritimer, Lord Beaverbrook’s gossip columnist for the Daily Express and is immediately drawn into the political and social British maelstrom of Abdication and Appeasement. Deftly working his way through the class and clutter of English society as Kurtis Tod, he does his best to keep old friends (Erl Echland, Ulrich Roller, Bella Fromm), make new ones (Tom Driberg, William Joyce, ‘Huge’ Castlerosse), confound his enemies (Joseph Ball, Maxwell Knight, Josef Goebbels), and to derive some sense out of it all as the world edges even closer to a second Great War. And, when things get a little nasty, it may be that Kurtis De’ath is just the fellow you want on your side. In late 1937, our loquacious and unreliable narrator, Kurtis De’ath returns to Germany, where he prepares for a trip with Joachim von Ribbentrop, German Foreign Minister, to Moscow. On his own with orders from Adolf Hitler (and Sir Joseph Ball), Kurtis probes the unspeakable secrets of the Holodomor, the man-made, deliberate starvation of four million men, women, and children in the Ukraine. He matches wits with the NKVD and Stalin himself. As the Nazis annexe Austria and Joseph Chamberlain tries to avoid war, it is Kurtis who shines a light on the darkest secrets on all sides as the slide into open conflict continues. 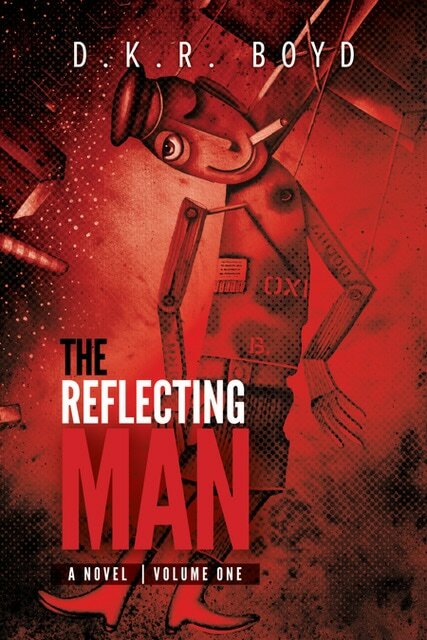 Set in multiple locales in Canada, America, France, Germany, and England, before the Second World War, The Reflecting Man is the antic, ribald journey of a loquacious and unreliable narrator, Kurtis De’ath, from the Maritimes in Canada, whose unusual talents lead him into the innermost circles of Hitler’s Third Reich and Churchill’s British government. Kurtis’ journey through the roots and branches of actual historical figures and events is, at its heart, in meticulous detail, an examination of how Europe went to war in 1939. The Reflecting Man is himself a reflection of his times. The novel is widely and deeply researched, employing hundreds of non-fiction accounts, journals, and diaries of actual participants and observers of the darkening clouds over Europe and the descent into war. The Reflecting Man is himself a reflection of his times. The novel is widely and deeply researched, employing hundreds of non-fiction accounts, journals, and diaries of actual participants and observers of the darkening clouds over Europe and the descent into war.